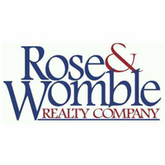 Ross & Womble Realty Company offers their exceptional services in real estate industries. The company has started after the combination of Womble Realty and Rose & Krueth Realty Corp in 1998. This local real estate company offers effective services latest market data regarding buying and selling of properties, relocation, property management, resale services to numerous homebuyers and sellers. More than 600 expert professionals are employed as sales associates in nine offices of the company. The portfolio of New Home Division includes more than sixty new home communities in North Carolina, Williamsburg and Northeast. Art Zachary serves as the president, CEO and Chief Operating Officer of the company. There are currently 0 consumer reviews about Rose & Womble Realty Company available. Share your review. Please take a note that you are about to post a public review about Rose & Womble Realty Company corporate office on CorporateOffice.com. This review will be public, so please do not post any of your personal information on this website. If you would like to contact the corporate offices of Rose & Womble Realty Company, please use their contact information such as their phone number, website, and address listed above to contact them. However, sometimes staff from Rose & Womble Realty Company headquarters do read the reviews on this website.